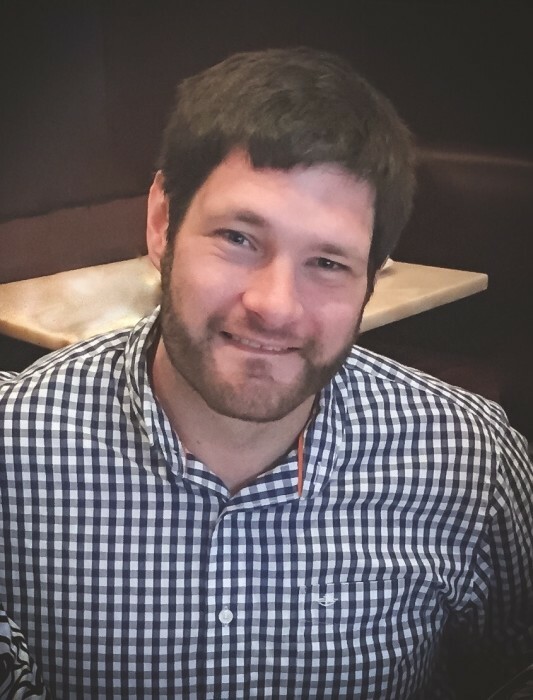 Adam Joseph Bisesi, 35, of Indianapolis, Indiana, born July 6, 1983 passed away on Tuesday, April 2, 2019 in Carmel. Adam was a loving and caring member of his family and community. A former youth pastor at East 91st Street Christian Church, he most recently was a dedicated 7th grade English teacher at Mt. Vernon Middle School who was always providing a fun and creative way for his students to enjoy learning. Students most remember him by his motto, “Be kind to one another,” which was how he concluded each class. He had a heart for giving, serving many mission trips to Kenya and Costa Rica. An active member of SOAR Dog Rescue, the place you could always find him was at the dog park with his best friend, Felix. Adam graduated from Westfield High School in 2002, followed by Milligan College (TN) in 2006, majoring in ministry. He later went on to attend Indiana Wesleyan University to transition to a career in teaching. He was an avid fan of IU basketball, the Pacers, and a Star Wars lover. Adam is survived by his mother and stepfather, Kristi and Tom Ebbinghaus; sisters, Abby (Eric) Breece, Brianna (Jarrod) Houghland, and Caitlin Ebbinghaus; grandmother, Doris Hannoy; and nieces and nephew Charlotte Harris, Theodore Harris, and Elsie Houghland. Visitation will be held from 5:00 pm to 8:00 pm on Monday, April 8, 2019 at East 91st Street Christian Church, 6049 E. 91st Street in Indianapolis. A service to celebrate Adam's life will be held at 11:00 am on Tuesday, April 9, 2019 at the church with an additional hour of visitation prior to the service. Adam will be laid to rest at Oaklawn Memorial Gardens with a private family burial at a later date. In lieu of flowers, memorial contributions may be made to SOAR Initiative Inc., 3901 Rookwood Ave, Indianapolis, IN 46208 (www.paypal.me/soarinitiative); or for a bench to be placed at Fort Benjamin Harrison Dog Park (www.paypal.com/pools/c/8dAxvks9Ff).